This is the sweetest cat ever – she demands love from her human and she wants it right meow! LOL when you see what this kitty does? It’s just too cute! The loving cat’s name is Ophie, short for Ophelia. The cat meows and puts her paws on his leg, asking for a hug. 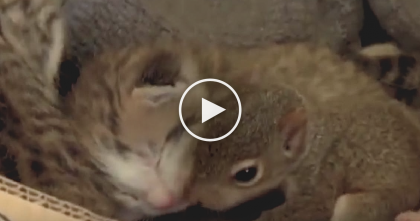 When he scoops up Ophie, she headbumps and purrs away, showering him in lots of love. Cat Goes To The Bathroom On A Toilet, But WATCH Till The Ending… Oh My Goodness, LOL!! 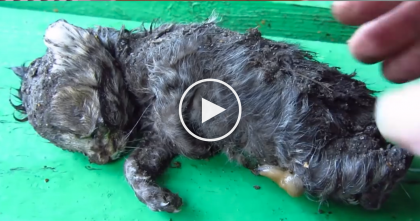 This Kitten Learns How To Use The Bottle, Just WATCH How He Does It… OMG. 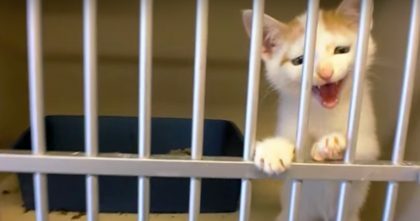 Watch This Tiny Kitten Demand To Be Adopted At Shelter… The End To This Story Is AMAZING.